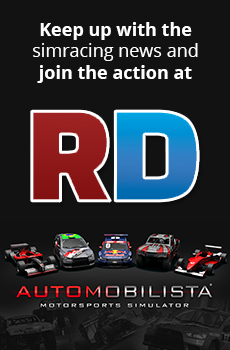 Discussion in 'Automobilista - General Discussion' started by xnorb, Jun 22, 2016. AMS hasn't left Early Access yet and there's still lots of stuff to come for AMS, but why not start already with a wishlist for Reiza17? Many wishes in the AMS thread belong better in a Reiza17 wishlist anyways. ** Renato said recently (in Reiza51) that the second half of 2017 sounds like a realistic timeframe when we'll be able to put our hands on it. To me AMS is special because of the content it offers and the community interaction and dedication of Reiza, so overall i just wish for a sim that could basically be called AMS:Extreme. * Additional tracks should hold circuits for the open wheelers (historic F1s maybe? Mexico, Adelaide, ...) but also hidden track gems all over the world for the other great cars. * Additional cars should follow the trend: Keep those interesting cars coming. For WTCC, Supercars and GTs we have other sims to go to. Opalas, Copa Montana, Trucks, StockV8s, Supertrucks ... that's the content i launch F-Truck/AMS for (next to the great feel). ... so overall i just wish for a sim that could basically be called AMS:Extreme. And please no "Extreme" in game title. The word "Extreme" is so over-used in the gaming world. 2) Overall visual improvements for a more natural look, eg. More advanced materials and shaders, higher-res assets, animations for crowd and pitcrew. 4) Improved UI, eg. a better way to select control presets instead of clicking an arrow over and over. - Transparent windshields for all cars ! - Zandvoort is mandatory ! - And the same brilliant pad support and steering calibration abilitys. Ams is the only game where i can drive like this. Its very special. I'd like to see more rallycross tracks, its the only discipline in AMS that feels underdeveloped. Every other series has a solid range of tracks to race on including the historic stuff, but RX only gets 2 tracks. noooooooooooo theres a million better race tracks on planet earth why do we have to keep seeing this one,! I asked Renato last week in Beta 51, he says it too early to discuss anything. A lot of AMS will be ported over to the new sim. Reiza have given cars & tracks that no over sim does, I hope it stays that way. Just looking for a quick option in cockpit to turn off without leaving screen. Sure turn off in plr but would help to line up your wheel with dashboard. You can switch it off from the Display menu, in session even. i think before wet weather racing is implemented, i'd like to see proper track temp / wind direction effects on cars. Higher track temp, lower the grip until a plateau is reached. The wind should affect the handling of the formula cars. First of all, let's take the track grip level into consideration. I don't know exactly how the grip level works when it goes from an unused track to a rubbered track, but is it rubbered in on the racing line, or is it rubbered in on the WHOLE track. If the former, are there marbles offline? So let's say we have a track that has the line rubbered in, no marbles and you have rain; what is the drop in coefficient of grip on the racing line vs the wide line? Because it is almost guaranteed now that the water ON the rubbered line will be the slippier line; but how much is the decrease in grip. Gotta factor that in. How much do they drop the grip vs how much moisture is coming down? Gotta model that in. What happens to the tires as the track goes from wet to damp to semi dry? Gotta model that in. Remember this is a track with no marbles. You add a rubbered in track and get a sudden downpour WITH marbles offline and you have yourself a doozy. When you bring rain into the equation, it's not just modelling the water for the eye candy or a meagre decrease in grip, it's modelling the entire interaction between asphalt, paint (because the kerbs will react differently with water on the paint vs when it was dry), water on rubbered track and tire-rubber. That's adding 4 things into the equation. Assuming you have a simplistic model of 3 scenarios (33% saturation, 66% saturation, 100% saturation) you're looking at 4^3 64 additional situations into the mix. It's simplified because it'll be more than 4^3, as iin the case of 33% and under, the dry tire scenario will also come into play and between 33% to 66%, the inters alone will be a headache if that tire is offered. I can see why most devs won't do it, because to do it right will be a huge undertaking; and if you want it half assed, there's always project cars. Nicely thought, thank you. I enjoyed a lot rain in GTR², I know it was certainly oversimplified and that most people did not use it… But still, I really liked to have changing conditions: either starting on the dry and getting rain, or the opposite: starting on a wet track with a nice weather and going to a dry track. We are starting to have changing conditions in AMS with the dynamic track, and I find this is a nice feature. It is simplified with the "pre-scripted" rubbering but it works imho. I don't think we need an overcomplicated system with 100% realistic realtime calculation of all the parameters. It is still a game after all, not a pure simulator (even if it is a goal). I have had some good races in RF2 with changing conditions even though AFAIK it does not simulate some of the more detailed interactions of rain with track rubber and graphically could be better. Being pragmatic I would rather have something like that than nothing at all.